We had two sightings of this rare migrant during our 2013 Batanes trip. The sightings are only the fifth and sixth official sighting of this species in the Philippines. This species is not included in A Guide to the Birds of the Philippines. The Eurasian Hobby can be easily mistaken for a Peregrine Falcon as it also has a completely black head, broad moustachial stripe, and yellow legs. 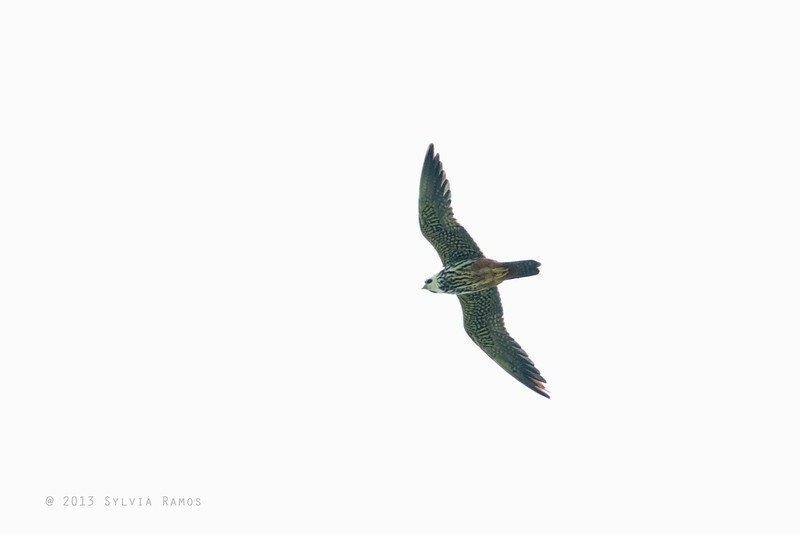 Unlike a Peregrine, its underbody has bold streaks, it has "chequered wings", and its undertail coverts are rufous.